As you may know, a 3-1 majority of the National Labor Relations Board ruled that Columbia University's Teaching Assistants (known at Columbia as Instructional Officers) are to be considered "employees" under the terms of the National Labor Relations Act. As a result of this ruling, Columbia's TAs (and by implication those at other private universities) now have the legal authority to seek an election to select a union to collectively bargain with the University. In so ruling, the Board Majority overturned a previous decision concerning Brown University but also, and more significantly, rejected the argument that if a graduate student's relationship with their university was "primarily educational" (6) they could not be considered employees when serving as Teaching Assistants. Instead, using the legal equivalent of "if it walks like a duck and talks like a duck..." the Board Majority ruled that when graduate students functioned as common law employees (under the power and direction of managers subject to sanction and receiving compensation) then they should be considered employees. Teaching assistants frequently take on a role akin to that of faculty, the traditional purveyors of a university’s instructional output. The teaching assistants conduct lectures, grade exams, and lead discussions. Significant portions of the overall teaching duties conducted by universities are conducted by student assistants. The delegation of the task of instructing undergraduates, one of a university’s most important revenue-producing activities, certainly suggests that the student assistants’ relationship to the University has a salient economic character. The Board thereby acknowledged the current structure of university labor--that Teaching Assistants (like adjunct faculty and tenure track faculty) provide important economic value to universities above and beyond the educational benefit they may receive. That economic value is generated by teaching classes and sections that bring in tuition. Without this revenue, private universities could not exist. Moreover, this labor takes place under the determination of the university's needs and not of the educational logic of graduate education. In doing so, the Board recognized the logic that has been systematically imposed by university managers onto their teaching forces for decades now. As is common knowledge, a substantial amount of the actual teaching in higher education is done by graduate students and adjuncts (of course the amounts vary institution by institution). Despite all the worries expressed about how collective bargaining will intrude inappropriate economic questions into academic life, it is, in truth, the changing labor strategies of universities that have already subordinated academics to economics. The never ending cries to make universities more like "businesses" (i.e. lower labor costs) is only the most obvious symptom of this transformation. Predictably, the managers of leading private universities have objected to this recognition of reality in the discussion of graduate student employment. As Corey Robin has pointed out, Chicago, Columbia, Princeton and Yale all quickly released statements warning graduate students that they might lose their individual voice in the overweening collectivity of a union. Implicit in all of these discussions is the threat that if graduate students voted to be represented by a union on issues relating to their working conditions, these negotiations would interfere with the educational relationship of faculty and graduate students. As Columbia's Provost John Coatsworth put it in a letter to staff: "For my part—and, in this, I speak for my colleagues in the University administration and for many faculty members—I am concerned about the impact of having a non-academic third-party involved in the highly individualized and varied contexts in which faculty teach and train students in their departments, classrooms, and laboratories." But this claim is absurd on its face. As Provost Coatsworth must well know, if the graduate student employees vote for collective bargaining it will be graduate students and not some "non-academic third party" conducting the negotiations in a situation in which universities have long let non-academic (financial) considerations shape their programs. It is hard to tell whether these responses are a sign of managers' failures of self-awareness or truthfulness. After decades of transforming themselves on the model of the financial industry (and ensuring that many of their students end up in finance), they now worry that economic interests may disrupt academic relationships. But graduate student employees at Columbia and elsewhere are seeking an institutional mechanism to address a power imbalance between them and university management. It is in fact this power imbalance that is destroying the academy from within, and not bargaining rights designed to correct it. The NLRB recognized that. Reality made a rare appearance in the discourse about the economics of higher education. As the Berkeley and Davis campuses seek new chancellors, they'll be looking for people who can deal with endless public university budget problems. In Berkeley's case, there's the $150 million structural deficit that surfaced on outgoing Chancellor Nicholas Dirks' watch. What should the next chancellor do to fix the deficit? Chancellor Dirks raised the prospect of cuts to the academic core, but mostly stuck to the standard model of growing private revenue streams. This has meant more fundraising, more non-resident students, more high-priced "innovative master's programs and more executive education. It also means using [public university] assets in more commercial ways." It will mean figuring out how to start raising tuition again while promoting the high tuition-high aid model. The quotations are from Nicholas Dirks. Privatization was what he was doing, and what he did well within the rules of the game, particularly in fundraising. Leaving aside his management mistakes to focus on the budget issues, should Berkeley look for Nick Dirks 2.0, Nick Dirks on steroids, some kind of Double Dirks? The deficit predated anything chancellor Dirks did. John Wilton, the campus's lead budget officer, had announced it in November 2013, and traced it to old and new forms of state underfunding. The Schwarzenegger and Brown budget cuts did enormous damage to UC finances. For a while, budget shortfalls were covered by reserves, but several years into the era of subpar funding, these were running out. Vice-chancellor Wilton had also already factored in all non-state and private revenue growth projections. The UC Berkeley deficit has come from a combination of state, university-wide, and campus budget choices. In addition, that deficit was not going to be closed by the growth in private funding. More on that issue below. We get reports that senior UC Berkeley officials are pinning much of their deficit, up to $50 million a year, on a choice the university system imposed called "rebenching." This is a program to start to reduce inequities in the UC Office of the President's allocations among the campuses. For many years, a student at UC Davis received a much higher state outlay than did the same kind of student at UC Santa Cruz; the same was true for UCLA vs. UC Irvine, and so on around the system. A 2011 report by the California State Auditor found large cross-campus inequalities and no good reason why this was so. It also found that the campuses with a higher proportion of Black, Latino, and Native American students got less money per student. (See Table 6 and this post for figures and analysis.) The pre-rebenching allocations were clearly unethical and arguably racist, and although UCOP's response plausibly denied racist intent, it worked with the Academic Senate to rebench allocations to improve equity. But was Berkeley supposed to pay for it all? Have a look at the 2012 report of the Rebenching Budget Committee. The total allocated for the entire system’s rebenching was about $37 million per year, now stepped up to $46 million per year total for all campuses (page 12). So even were the entire system being rebenched at Berkeley's sole expense, it still wouldn't come to $50 million a year. 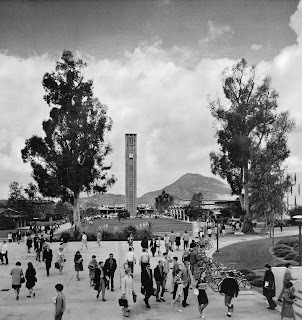 (4) a leveling up of all campuses to the top campus level (Los Angeles). The effect on Berkeley can be seen in my number 1 favorite recent UC spreadsheet, Appendix A of the rebenching report. First, Berkeley's reduction under the new system was a bit over $6 million (row U), far smaller than Davis's or Los Angeles' because it wasn't as overpaid, so to speak, by the established system. Again that's much less than $50 million. But that wasn't to be an actual loss because, after various considerations, Berkeley was to be rebenched up by about $28 million per year, or +10% on its original base budget. The 2012 plan had rebenching giving the Berkeley campus $4,688,619 more each year for six years. This was only half of the additional new money going to the two most underfunded campuses by equalized weighted enrollment--Irvine and Santa Barbara--but it was not a deficit maker. Perhaps the actual allocations have not followed the plan. But if that is the case, officials should produce figures that show what has happened instead. Here's a visual of rebenching over six years (Appendix B). Berkeley was a bit over the old average, so seemed a loser in the socialist benchmarking paradise. But in reality it is below the new benchmark, and so is to benefit from rebenching like all campuses other than Los Angeles, which is to stay the same. Note that this is only one of the campus's many revenue streams, does not include non-resident tuition which each campus keeps for itself, is based on weighted enrollment, etc. Note especially the deeper issue, which is inadequate state funding. This had been softened at the wealthier campuses but not at the poor ones. Rebenching is not Berkeley's problem. So if the public system isn't sinking Berkeley, what is? Normal cost inflation. VC Wilton estimated this as historically 3-4% per year, meaning the UCOP “deal” on state increases (4% per year for a few years) is essentially a zero gain. Capital projects. The state has largely withdrawn from campus development. Pension contributions (up from zero to 14% of payroll since 2010). Increased employer health care costs, including retiree health care. Central administration, aka UCOP, which is now funded via campus taxes to the tune of something close to 15% of state funding. How do these costs hit Berkeley? A quick scan of the campus's Annual Financial Report for 2014-15 (pdf page 5) shows that pension contributions have grown from zero to $128.4 million per year. “Other employee benefits,” which I assume is largely health care, is up to $274.4 million. Interest on debt and capital leases is $90 million a year (up $10 million year on year). In the realm of capital projects, "proceeds from debt issuance” fall short of “purchase of capital assets” by $140 million (and by $160 million in the previous year). Grants and contracts income declined $40 million over one year (they have since rebounded). At the same time, over two years, Berkeley's outlays of its own "institutional funds" to support research, mostly losses on extramurally-funded projects, increased $26 million (from $138 million to $164 million). This is a partial list of the real contributors to Berkeley's $150 million annual deficit. What drives these expenses? State politics for one: were the state to fund UC's employer share of pension contributions, Berkeley would fix $128 million of its $150 million problem. There are also necessary growth and upgrades: some chunk of the capital project costs are in the category of always improving teaching and research. Research policy is another: federal agencies force universities to subsidize research and foundations and corporations are even worse. But a big general driver is what I call the price of privatization. It is expensive to compete with Stanford, Cal Tech, et al for corporate partners, non-resident students, research grants, wealthy donors, senior executives, and everything else. VC Wilton said it best: "Berkeley must now compete for its three most important revenue sources [philanthropy, students, and research] against the best private and public universities." He went on to assert, "Because 87% of our revenue does not result from a legislative process, the need to be market-competitive is essential." The decline of public funding has induced a preoccupation with competing to increase mostly private revenue streams and with covering all the costs of the market competitions on offer. In the post-crisis scramble, where do managers draw the line between necessary investments and privatization boondoggles? Which of the projects that created that $140 million shortfall for capital debt/assets is part of the core mission and which supports off-campus interests or a favored group? How big are the avoidable costs of competition? Which competitions should be avoided on the basis of costs? If a research and teaching mission lacks a competitive revenue market, do you tax it for the sake of someone else's market competition? When you don't really know where to draw the line, and money is cheap, do you try all of them, especially if you can launch them by executive order? Faculty, staff, and students should be directly involved in answering these questions. They are budgetary and also properly political. Post-Dirks, Berkeley has a real choice between faster, better privatization (and its costs) or figuring out privatization's costs and cutting it down to size. Ironically, dialing back is supported by the budget data of its advocates. VC Wilton probably was not telling Chancellor Dirks that privatization would work because fundraising and partnerships were magic bullets. I think they saw it more as a muddle-through strategy designed to kludge the system for another 5 years (2013-2018) with gains from non-resident tuition, educational businesses, real estate, and endowment income, at which point UC would either start big tuition hikes again or Berkeley could gain its semi-freedom to charge its own higher tuition. The full debate between privatization and its costs never happened. This is in large part because of the managerial decisionism I won't discuss here, and also because, as Jacques Lacan would have expected, denial was an important part of the disclosure. Wilton Part 1 disclosed budget strategy failure. Wilton Part 2 hid it in plain sight. While former Chancellor Robert Birgeneau was a true believer who could effortlessly suture the contradiction, Chancellor Dirks was perhaps unsettled by the double message that UC Berkeley’s administration has been broadcasting for a decade: we must privatize; we are more public than ever. Were this so, he would naturally seem indecisive, as though he “embrace[d] ambiguity.” In fact, privatization is ambiguous. It wants private money, especially high net tuition, and to keep its public subsidies, and to keep its public-mission image. Chancellor Dirks' Chronicle of Higher Education article and his resignation memos are classic performances of the not-quite-convinced that make the model feel as unworkable as it actually is. I assume he was following the established Berkeley administrative program. He knew the formula. But he hadn't swallowed the blue pill. Berkeley's problem isn't rebenching. Berkeley's problem isn't the UC system. Berkeley's problem is unrestored public funding in conjunction with privatization, which raises costs while encouraging cuts. How much does its own program grow the funding gap between what public education needs and what privatization makes us want? I'm sure the campus can find a chancellor who is willing to find out. 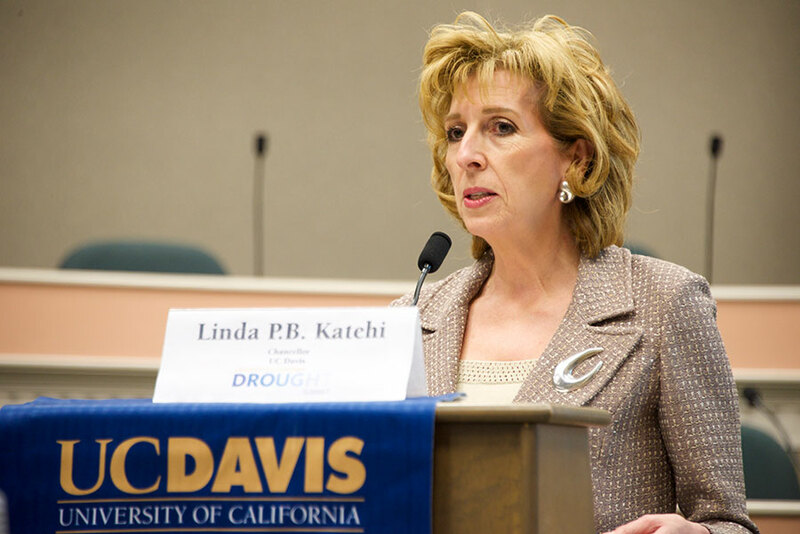 As you have probably heard, Linda Katehi submitted her resignation from the position of Chancellor of UC Davis today. I don't have the time to offer an analysis of the central documents but I wanted to provide links for those of you who would like to look further into the investigative report and the various responses to it. Statement of Davis Academic Senate Chair Knoesen regarding the resignation. Report of Investigation of Chancellor Katehi (with redactions). Text of President Napolitano's Statement on Chancellor Katehi's Resignation. Statement by Chancellor Katehi's Attorney Melinda Guzman in response to Report and Resignation.